I'm off to the Life, the Universe and Everything conference tomorrow, and I can't wait! Several of my favorite authors will be there, the classes look fabulous, and I'm super excited to meet blogging buddies in real life. I've gone to this one twice now, and I'm lucky enough to have another conference within driving distance this May. Unfortunately, many of us are not so lucky (when my hubby graduates and we move, I'll be joining those ranks). So what's a writer to do if we want the benefits of going to a conference, but can't get to one? Let's take a look at my favorite benefits-- and see if there are possibilities to get them elsewhere. One of my favorite things about conferences is that you can learn the tools of the writing trade from people who really know what they're doing. There's nothing quite like being there in person, but there are a lot of great substitutes on the internet! One of my personal favorites is the Writing Excuses podcast with Brandon Sanderson, Dan Wells, Howard Tayler, and Mary Robinette Kowal. Not only are they BRILLIANT writers (and teachers), they're absolutely hilarious. It's like a whole writing conference just listening to them. There's also, of course, the awesome blogs around the internet by writers, and incredible books to help you learn the craft. Here are a few great ones: Story Engineering, Writing the Breakout Novel, The First Five Pages, Characters and Viewpoint...and there's hundreds more! Face-to-face networking is hard to duplicate through the internet. I love making friends with all you blogging buddies, but I get extra excited to MEET you in person! At a conference it's wonderful to meet fellow writers, big-time authors, and agents and editors. There are a few ways you can meet people in your area, though. Keep an eye on your local bookstores for signings, readings, and other events where you might be able to meet authors. And talk to people if you're waiting in line or standing around! You'd be surprised who you'll meet (that's how I met the awesome David Powers King). Watch your local library, too-- they may have events for writers and readers as well. Even if you think there might not be other writers in your area, you never know! One of the most helpful places I found for finding writers in your area is actually the forums at NaNoWriMo. They have local forums when you sign in. Even if no one is active on the forum, you might be able to find blogs or Twitter accounts for fellow writers you can meet up with! And if all else fails, there's always the wonderful world of blogging, Twitter, Facebook, etc. Chatting online is almost as good as face-to-face! There really is no substitute for a conference when it comes to meeting industry pros. You can't exactly call them up to chat if you can't go to a conference, or pitch your novel at their office. But there IS a wonderful place called Twitter that many agents frequent, and many agents blog. Don't be afraid to interact with them! This doesn't mean pitch your novel on Twitter (PLEASE never pitch to an agent/editor online), but they're on social media to be SOCIAL. Respond to their tweets. Comment on their blogs. Don't badger, but interact-- that's what's great about the internet. And if that doesn't work, there's always the free, online conference WriteOnCon! If you've never participated, that's the closest you'll get to a conference without leaving your house-- they even keep all the classes up online all year. So, my friends, even though there really is no substitute for an amazing conference and I think everybody should try to go to one, you can still get a lot of the same great stuff right from your home. Have you been to a conference before? What do you love most? What conferences would you love to go to if you've never had a chance to go? I NEVER get to meet people face to face so storymakers last year was just amazing. I'm hoping to hit SCBWI in LA this August, and that would be really amazing! Love this advice! I need to get more involved in Twitter. And I've met so many bloggers at author signings! It's amazing. Have a wonderful time at the conference! I haven't been to any conferences yet, but always would love to go someday! I'm in one of those areas that has NOTHING, lol. But I do writeonecon every year, and frequent blogs, and make friends. Have fun at the conference this weekend!! You'll have to tell us all about it when you come back! This was really helpful! You know what a fan I am of conferences, and it kills me that I can't go to all of them (seriously, I wish I could go to all of them). You're right about approaching agents online. They're people just like us, and they want friends too. I made a dumb joke on the Twitter account of my favorite agents, and then she started following me! 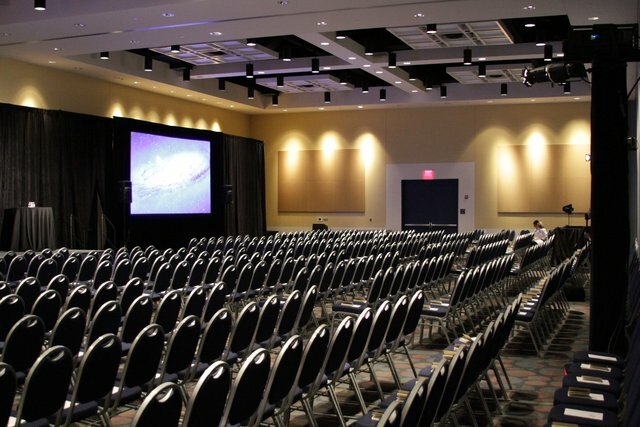 Conferences are really brilliant and I try to make it to all my local ones. I love meeting and chatting with writers. Great tips! I always tell myself that when I go to a writing conference, then I'll start learning the craft of writing seriously. . . but I think I just need to buckle myself in and just learn, for Pete's sake. Now I see that. :) I'll definitely have to listen to the podcast. I've never been to a conference; thanks for the links to the other resources! :) Especially the podcast--that sounds awesome. One conference I'd love to go to is Worldcon. First of all, I only end up hearing about the conferences AFTER they're already over lol. I wish I could go to one with my mom sometime. I think it'd be really fun. Everyone says they're awesome!